Wednesday 21st May 2014 – 2.20pm – Claire Brown. 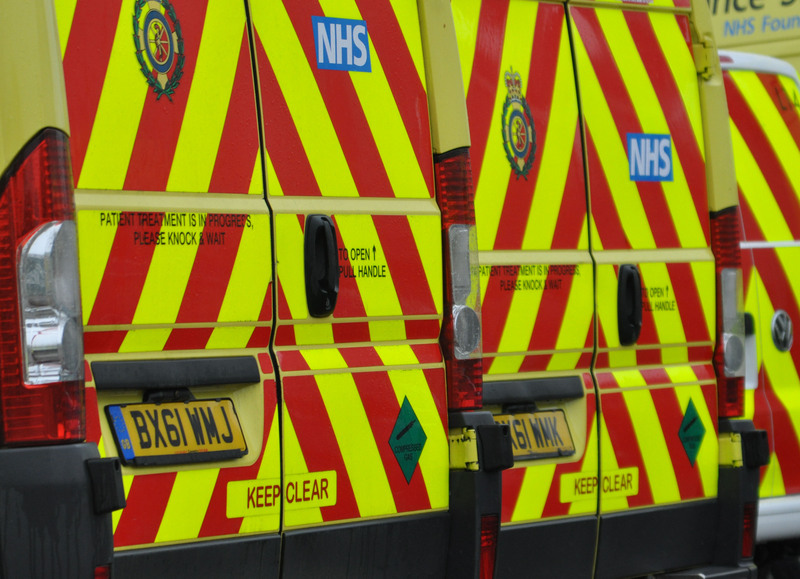 One woman has died and five other people have been injured in a three car road traffic collision in Cradley Heath this morning. West Midlands Ambulance Service was called to Waterfall Lane, Cradley Heath at 11.50am earlier today (Tuesday). Four ambulances, a responder paramedic, an area support officer, a senior paramedic officer, the Midlands Air Ambulance from Cosford with a MERIT trauma doctor on board together with a second Midlands Air Ambulance from Strensham attended the scene. A West Midlands Ambulance Service spokeswoman said: “Crews arrived to find three cars which had been involved in a significant collision. “The passenger of one car, an elderly woman, was in cardiac arrest. Ambulance staff carried out CPR on the woman but sadly, despite best efforts, nothing could be done to save her and she was confirmed dead on scene. “The driver from the same car, an elderly man, was assessed by the doctor who suspected he had suffered abdominal and pelvic injuries in the collision. Whilst ambulance staff and the doctor worked to stabilise the man and administer oxygen and emergency drugs, the fire service carefully extricated him from the car. The man was immobilised with a neck collar and spinal board before being taken by land ambulance on blue lights to Queen Elizabeth Hospital Birmingham, the regions specialist trauma centre. The doctor travelled in the ambulance to continue further treatment en route. “The driver of the second car, a man in his 30s, had managed to get himself out of the car but collapsed soon after. Ambulance staff treated the man for chest and leg pain before he was immobilised and taken to Sandwell Hospital for further treatment. “Three occupants from the third car, two women and a young girl, were described as ‘walking wounded’ by ambulance staff. The girl, thought to be under five, suffered a bump to her head and one of the women was treated for a medical condition. All three were taken to Russells Hall Hospital as a precaution.